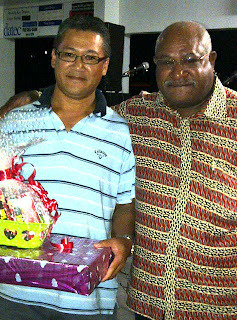 David Wong, who scored 42 points on count back from Pravis Punja won the Papua New Guinea High Commission sponsored golf tournament at Vatuwaqa on Saturday. It was overcast but otherwise warm and sunny at Vatuwaqa golf course for an individual stableford golf event. A record field of 134 golfers participated in the tournament. The tournament, said the PNG High Commissioner, Peter Eafeare, during the prize-giving dinner was to celebrate PNG’s 36th independence anniversary with friends and fellow golfers and to thank all those who had participated in the event. 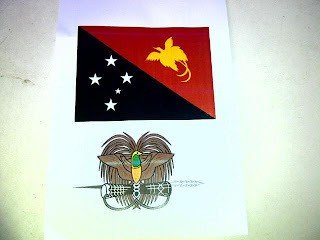 It was an enjoyable evening, where the sponsors had provided a cocktail, PNG South Pacific canned beer and prize-giving dinner. There was Fr. Mika’s 2-man band also at hand to provide entertainment in the evening. The tournament and the evening was enjoyed by all who were at the club. There were three prizes for each of three grades for men, two for ladies category and two for nearest-to-pin (NTP) prizes up for grabs. The A grade winners were David Wong, Pravis Punja and D S Oh, 40 points on countback, who won first, second and third prizes respectively. The B grade was won by David Kinnear first place, Albert Mariner, second and George Cornelius, third place, who scored 40, 39 on count back and 39 points, respectively. In men’s C grade, Dr. Ram Lochan won first place on come back from Sanjay Singh on second place and Darryn Sunnex, third place also on count back. They scored 43, 43 and 39 points, respectively. Two prizes in Ladies’ gold and silver divisions were respectively won by Suzie Yee, 40 points and Rosie Sue, 39 points. The NTP prizes were won by Sir Timoci Tuivaga for second hole and Cecil Browne won the sixteenth hole. Fiji golf club would like to thank PNG High Commission for the generous sponsorship.